Don’t wait until September. If funding permits, be ready. Forecast your mission essential requirements now! 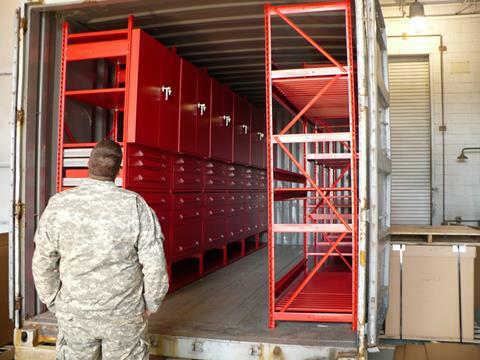 Accomplish the mission with an industrial-strength military shelving system designed with unmatched structural integrity and versatility. Equipto leads the industry in producing the most comprehensive selection of accessory components. Need a flat work space to perform administrative tasks or maintenance? 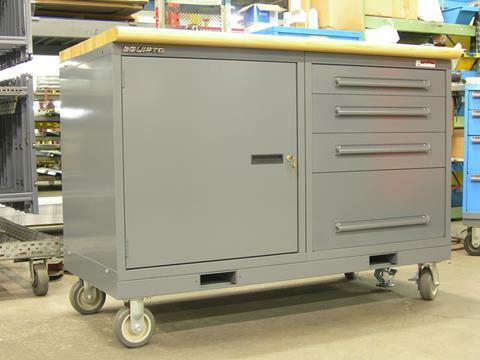 Streamline production with a built to last Equipto Work Center or Work Bench. Multiple configurations available. Get organized while increasing your storage footprint and decreasing dead space. 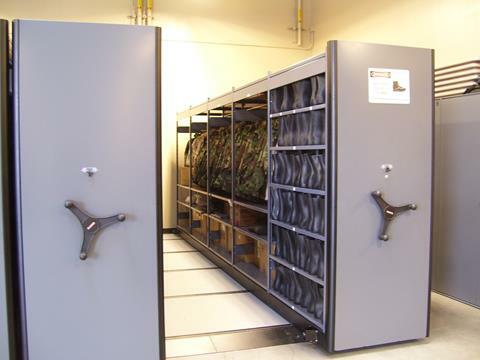 Equipto Mobile Aisles are ideal for parts and supply rooms, pilot gear, paralofts, central issuing facilities, and armories. Extremely versatile with endless applications. Need more space in your motor pools, warehouses or hangars? Build up! Double or triple your storage capacity with an Equipto pre-fabricated modular Platform or Deck-over. Precisely manufactured and tailored to the command or unit’s specifications. Maximize your cubic space with better visibility and accountability of parts or tools. Every heavy-duty Equipto Modular Drawer Cabinet is engineered and manufactured with exacting precision for years of rugged use. Overflow storage problem? Outfit your existing Conex with an Equipto module shelving kit. Configured with or without drawers. Ideal for storing bench stock, spare parts, tools or associated items. Permanent or temporary use. Contact your local Military Sales Manager today!